Pucker up and prepare for the cold. Preserved lemons are my new favorite kitchen staple, popular in many Middle Eastern recipes. They make a wonderful pairing with olives in stews and other mains, such as Moroccan lamb or chicken tagines, garlic fettucine, or vegetable couscous by adding a deep lemony intensity. You can also mince them for addition into sauces, vinaigrettes, or yogurt dips. Even try infusing olive oil with it! Check out this link for 12 ways to use it. The most amount of work is done by time; just letting the lemons sit and marinate in their juice with a couple of additions transforms them so that the whole lemon becomes edible, not just the juice or zest. A little bit goes a long way, and it keeps forever. Savor the bright flavor of lemons in the dead of winter, even when it’s way past its season. 1. Cut the lemons into eighths, being careful to hold onto the juice. 2. 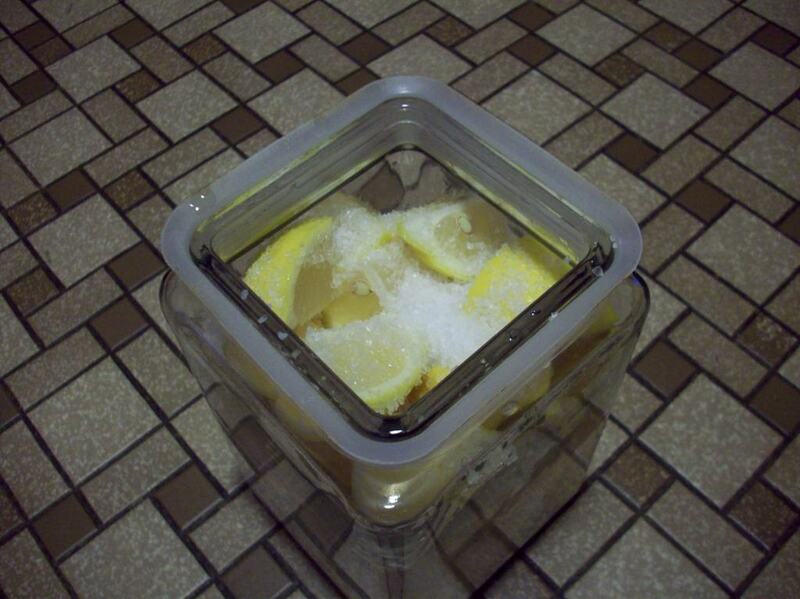 Layer some salt to coat the bottom of the jar, then layer a handful of lemon pieces. 3. Repeat step 2, coating the lemons with salt after each addition, until you fill up the jar. 4. Let sit for 1 week in the fridge. 5. After this initial phase, squeeze the lemons to get their juice out and add it all into the jar once more, along with some herbs of your choosing (I would suggest basil). 6. Let marinate for 3 more weeks before using.